Nai Yang Beach is located at the northern part of Phuket. 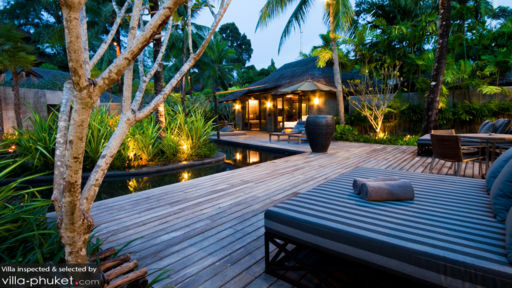 It is generally quieter than other areas in Phuket and is free from busy tourist crowds. Still, it is a favourite hangout spot for locals. If you happen to drive through on the weekend, you will see many families and friends gathering together for a picnic on the beach. 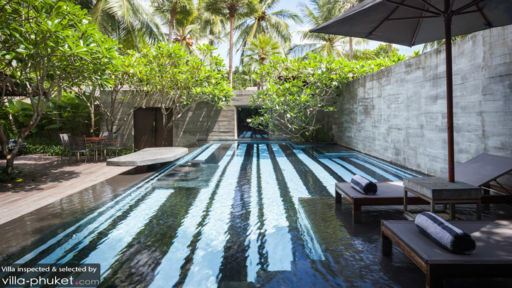 Villas in Nai Yang exudes a laid-back, peaceful vibe, and are equipped with a private swimming pool, lush garden, and attentive staff providing impeccable service. Since it is within proximity to the beaches, you can enjoy lounging and sun-bathing at the pristine white beaches just minutes from your villa. There is something suitable for every traveller in Nai Yang – from nature reserves, water activities, luxury spa packages to fine-dining experiences. Just a few minutes’ drive from Nai Yang Beach will bring you to the Sirinat National Park, a conservation site that is filled with white sand beaches, lush greenery and wildlife. At Nai Yang Beach, you can go for a beach massage, or do kite-surfing, which is popular all year round. There are also many restaurants along Nai Yang Beach.